Labbe, Andrew A. - Groelle & Salmon P.A. 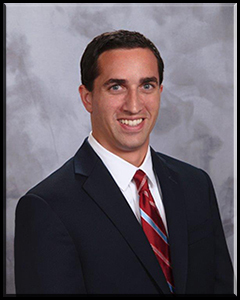 Mr. Labbe is an associate attorney who concentrates his practice on first and third party insurance defense. He has experience handling various property claims including windstorm, water damage, fire and sinkhole. Mr. Labbe also has experience defending third-party liability claims, coverage disputes, subrogation and construction defect. Prior to joining Groelle & Salmon, Mr. Labbe worked as an associate attorney at an insurance defense firm specializing in first/third party liability defense. Mr. Labbe is licensed to practice in all state courts of Florida. Walton, Lantaff, Schroeder & Carson, L.L.P. Massachusetts College of Liberal Arts B.A.